So many benefits come from training your dog. Not only will their behaviors improve but your bond with your pet will improve as well. 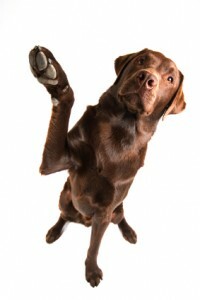 Basic commands are very important to keep your pet under control during unexpected situations. And specialty tricks exercise their minds and body and also strengthen your bond. Plus they are so much fun to share with friends and family. As an experienced trainer Aunt Becky can help with behavior problems in addition to teaching basic and specialty tricks. NOTE: All training sessions begin after a walk. Aunt Becky uses both verbal and visual commands in training, and only POSITIVE reinforcements.